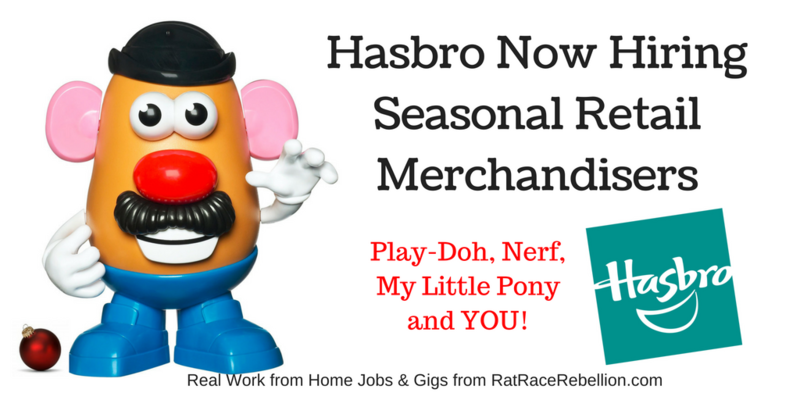 Hasbro Now Hiring Seasonal Retail Merchandisers – Play-Doh, Nerf and YOU! Hasbro, the company that has brought such classics as Play-Doh, My Little Pony and Nerf into homes around the world, is NOW HIRING Seasonal Retail Merchandisers. 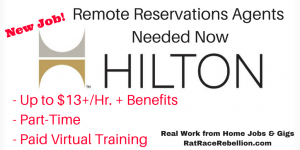 These positions run from September – December, so there’s a short fuse and you should ACT QUICKLY if you are interested! While you will be filing your paperwork from home, this position requires that you get out to stores in your local area, so please only apply if you have reliable transportation and are willing to work during daytime hours and on weekends. 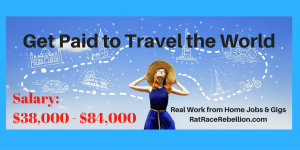 No specifics about pay are noted, but they do state that it is “competitive” and that they will also pay a daily rate for mileage. To learn more and to apply, click here! This entry was posted in Seasonal Jobs and tagged Hasbro. Bookmark the permalink. 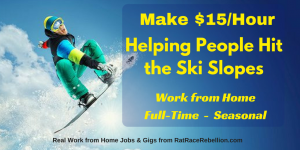 ← 5 Companies Hiring for Seasonal Work from Home Positions – APPLY NOW!